I believe there’s something to be said about Chinese medicine. In my opinion, there’s a reason their crushed beetle concoctions have been around for thousands of years. If there wasn’t something there, who would eat beetles if the had to? That’s not to say that I would eat beetles – I mean, everyone has their limit for how far they would go for beauty. Fortunately, with the Z Mei Skin Therapy System, you can get the advantages of ancient beauty traditions combined with new developments of face application methods. Meaning…no beetles here. Within each Z Mei formula you will find a combination of Dr. Zand’s selection of the finest botanical ingredients utilizing the most technologically advanced delivery systems available. The result is the maximized efficiency of the skin’s chemistry to rejuvenate itself. Knowing that the Z Mei System was based in Asian techniques, and having grown up with aunts and grandmothers who use Chinese creams all the time, I was curious to see how the Z Mei System performed. With 8 products in their system, they have a solution for virtually every beauty need. 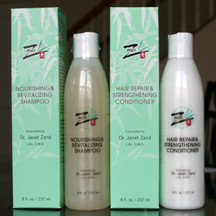 The Z Mei Shampoo and Conditioner are unlike other products you might buy in the grocery store. 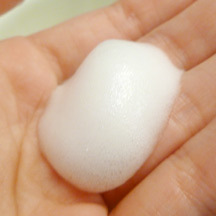 The shampoo is a little more watery than other shampoos and doesn’t create a huge amount of bubbles when you lather it. It has a very light creamy and floral scent. It washes off cleanly, but it feels like your hair is thicker after you’ve rinsed it. I’m not sure if the nutrients are adhering to the hairs to get them healthy, but that’s what I like to think. The conditioner isn’t overly oily and complements the shampoo wel without a very light (almost unscented) fragrance. I really like the Z Mei Purifying Facial Cleanser. It comes out a light, frothy foam and smells a little like pina colada (a wonderful pineapple coconut scent.) My face always feels incredibly clean after washing with this and doesn’t feel dried out or leave any unsightly white patches of dry skin. Sometimes I feel a slight tightness, which I am able to quickly resolve with a few spritzes of the Balancing Toner, which helps refresh and calm my skin. When I felt like my face needed a little extra scrubbing, I tried the Z Mei Exfoliating Scrub, which can also double as a face mask. This scrub is much more gentle than some other scrubs that I’ve used. The base cream of the scrub also feels very creamy, even with the tiny scrubbers in there. After using the scrub, my face felt very moisturized without feeling like being rubbed with sandpaper. Finally, I found a new lotion for this winter – Z Mei’s Intensive Repair Therapy for Hands. It has the same neutral smell as the conditioner. When I put the cream on my hands, I felt an immediate moisturizing sensation. It is thick and creamy but isn’t overtly oily. Of the 8 products in the Z Mei System’s product line, I tried six and was impressed with them all. The product I will run out of first is the Facial Cleanser – what can I say, my face feels so clean and it smells so good! Products are available as a six or eight piece system, or you can purchase them individually as well to make you own custom skincare package. Z Mei isn’t a cover up; it actually helps create a lasting change in the overall appearance of the skin, making it softer, smoother, cleaner and more radiant. Z Mei is ideal for all types of skin, including teenage skin, 20’s skin, post-pregnancy skin, pre- and post-menopausal skin, and aging skin. All Z Mei products are made from natural and naturally-derived ingredients. They are pH-balanced, hypo-allergenic, and completely biodegradable. They contain no soaps, synthetic emulsifiers, artificial colors, or any harsh or irritating chemicals that can be harmful to the skin.